Labour will vote on a Brexit motion which will put a second referendum behind a call for a general election. 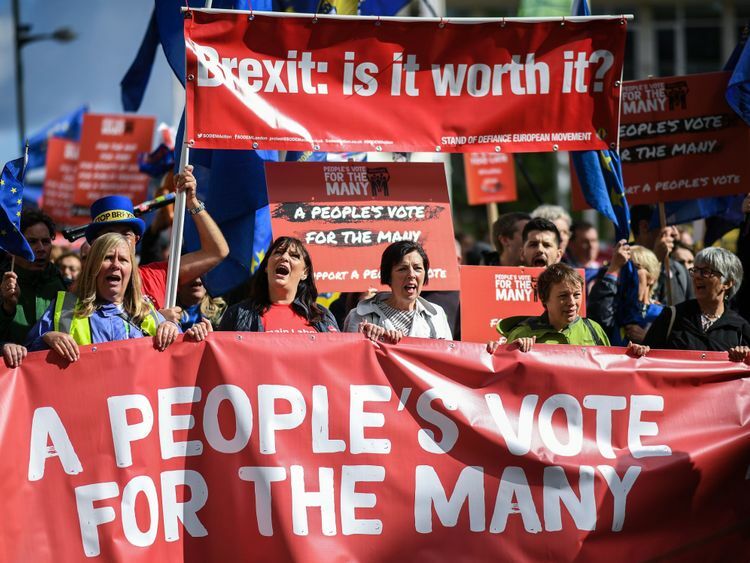 Pro-EU supporters in Labour have been left somewhat disappointed by the party’s motion wording, which only promises to fight for a second vote on the deal Britain gets when it leaves the EU, if there is no general election. The motion comes after more than 100 constituency parties demanded a second referendum, with Jeremy Corbyn saying he would be “bound” by the outcome of a vote at conference. The meeting ended just before midnight, and supporters of a second referendum are understood to have faced stiff resistance to commitment to another vote, so the leadership could maintain some room to manoeuvre. Labour conference will vote on the motion on Tuesday in Liverpool. On Monday, Theresa May will chair a cabinet meeting amid growing pressure for her to change course and seek a less ambitious Brexit deal. Boris Johnson and David Davis backed an alternative plan for leaving the EU which was launched by the Institute of Economic Affairs. In his Daily Telegraph column, Mr Johnson said the Chequers proposal equals “surrender” and “betrayal”. In an interview with the BBC’s Andrew Marr Show on Sunday, Mr Corbyn declined to say which way he would vote in a second referendum, saying there was “conjecture” as to what the question would be. He also made clear that his preference was for an early general election. 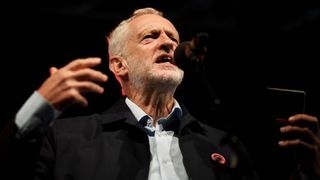 Mr Corbyn said Labour would “put our case to Parliament” for an early poll, remarks which will fuel speculation the party will table a vote of no confidence in Mrs May if the Brexit negotiations fail. 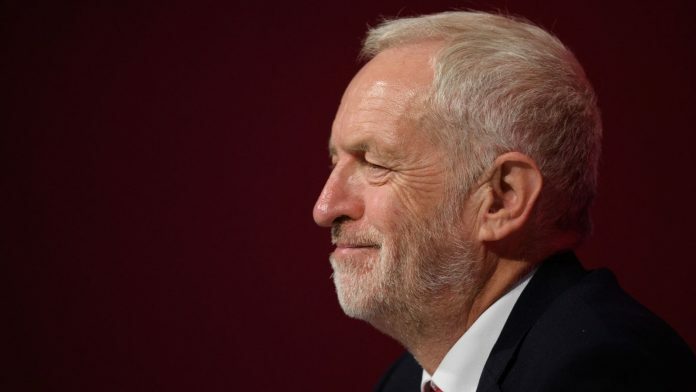 Mr Corbyn may be out of step with his party, after a YouGov poll found 86% of members think voters should have the final say on the outcome of the negotiations, and 90% would now vote to remain in the EU. Anti-Brexit campaigners held a rally in Liverpool as the conference got under way, with people waving EU flags and chanting “b******* to Brexit” and “it’s not a done deal”. David Lammy and Luciana Berger joined the rally. Shadow chancellor John McDonnell told the Sunday Mirror he wants an election “as soon as possible”. 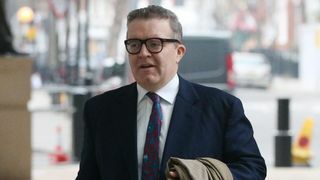 Deputy leader Tom Watson told Sky News the party would almost certainly include a pledge to hold another Brexit vote in its manifesto if members voted in favour of the idea. 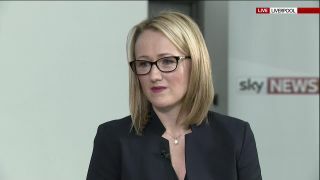 Mr Watson acknowledged there was “always a danger” that the resolution could be a fudge but “when it comes to a second referendum I’m sure there will be words on offer that will allow the party to come to a fixed view on that”. He also said he voted remain in the 2016 referendum and it was “highly likely” his vote would stay the same.